The US Air Force has ordered more than a quarter of a billion dollars-worth of stability test on its aging fleet of F-15 C/E combat aircraft, the Department of Defense announced. WASHINGTON (Sputnik) — The contract will cover testing, repairs and limited teardown and analysis and other stability checks to assess the ramifications of flying F-15 aircraft beyond the original design service life over the next five years, the Defense Department said. 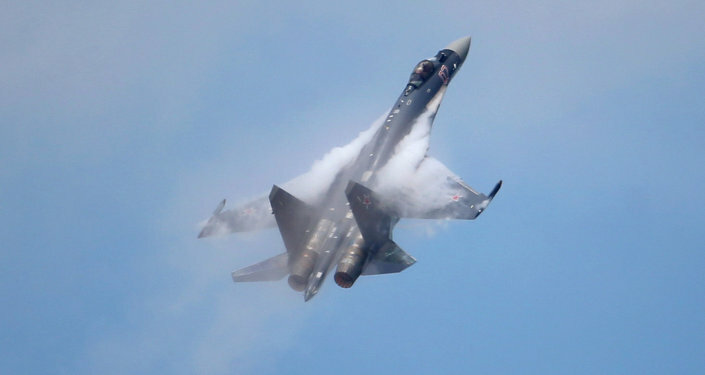 Could the Russian Su-35 be a Better Warplane Than the Iconic US F-15? "The Boeing Company [of] St. Louis, Missouri, has been awarded a $254.2 million… contract for the purchase of F-15 C/E full-scale fatigue test services," the announcement stated on Thursday. The tests are to be conducted in St. Louis in the US state of Missouri and will include partial disassembly, inspection and fractographic analysis of selected parts experiencing cracking during the course of the testing, the announcement noted. The F-15C Eagle jet was first introduced in 1978. The F-15A reached initial operational capability for the US Air Force in September 1975, and approximately 670 F-15s remain in the US Air Force’s inventory, according to US defense industry published reports.